Vampire power is what you will examine after watching Robert Pattinson in ‘Twilight’ movie series. But it is not what it is at all. This is actually a term which is used by people for technology gadgets when we describe the power wastage and methods for saving it. When you have plugged your charger for charging but you are not using anything to charge, the electricity dribbles out of the electric socket like blood from neck of a punctured virgin and what you will see is a big old waste. Anyway, iGo is the company which has come up with a way to reduce vampire power drain with a charger that detects whether device is plugged into it and switches itself off when it’s not in use. In our daily use, we come across many occasions, where we have plugged our handset charger, laptop charger, or television and speakers electric switch but we are not really using this energy, in real a large amount of electricity is thus wasted and most of the people are not aware about such energy wastes. Company is planning to launch such technological improved products which should meet the Go Green criteria and should aware and help the people to clean their environment, save extra use of energy and preserve the natural environment. iGo charger has been designed to check that if that device is not charging or full charged, the green charger is ready to save vampire power and set it off. Whether we may realize it or not but devices are drawing precious power form the wall, even at those times when they are not being used. Manager Director of iGo, Rob Falconer told that while it is impractical for consumers to unplug their devices every time when they have become fully charged or not in use, iGo green technology makes it easy for green environment protectors by automatically regulation of its power and use of reducing standby power which is drawn by each device being attached to the electric socket. 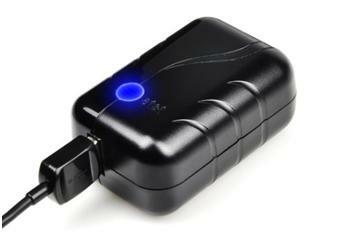 Company has claimed that another advantage of the charger is laptop battery health. Laptop battery needs to charge when it reaches at its lowest charging of 5 percent and charger should be disconnected when it reaches at 100 percent. Compatible with most popular laptops, the charger also comes with a USB port so that low power devices can be charged at the same time using either the USB charge cable that came with their Blackberry, iPod, Iphone etc. 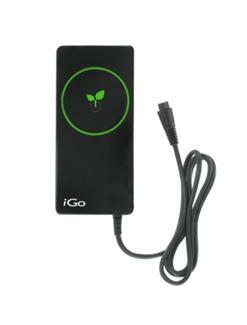 or by using one of iGo’s power tips; this reduces the need to carry a separate charger or a voltage converter.